The Runaway Horse by Jack Butler Yeats. Over 220 artifacts belonging to the family of William Butler Yeats were auctioned off in a Sotheby’s auction entitled “Yeats: the Family Collection” in London on September 27. The collection comprised paintings, drawings, letters, furniture, silver and other personal items that once belonged to Yeats, his father, and his siblings. The auction realized a total of €2.2m ($2.6m). 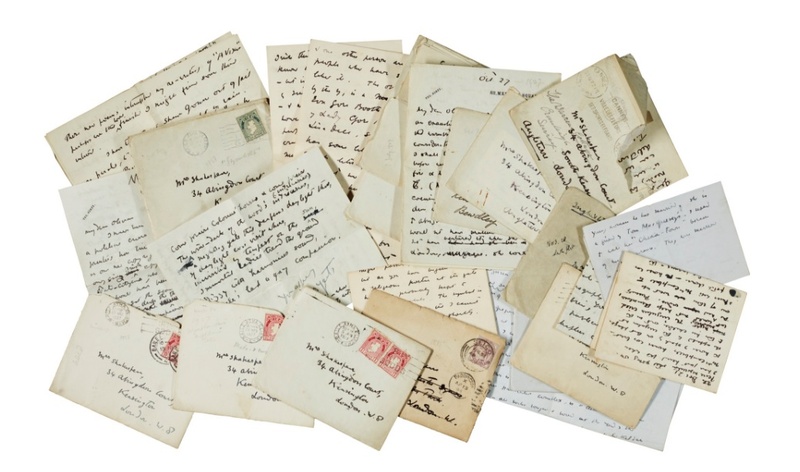 133 letters autographed by William Butler Yeats and addressed to his close friend and sometime lover, writer Olivia Shakespear. Through the National Museum of Ireland and the National Library of Ireland, the Irish State purchased €650,000 ($768,332.50) worth of major pieces from the family archive, significantly expanding upon its pre-existing collection of Yeats paraphernalia. Objects acquired by the National Museum include a walnut bedside writing table, used by Yeats in the autumn years of his life; a Burmese giltwood coffer used to store the writer’s manuscripts; a chest of drawers decorated on the inside with illustrations by Yeats’ brother, Jack; an inscribed silver ring belonging to Yeats’ father, John; the family’s tea set; a number of occult artifacts, which serve as indicators of the influence of spiritualism in Yeats’ life; a collection of Japanese masks, referencing the elements of Noh Theatre present in his playwriting; and Yeats’ presentation set of the first issue of the Irish Free State coinage, designed by English sculptor and designer Percy Metcalfe and gifted to Yeats by the Minister of Finance Ernest Blythe in 1928. 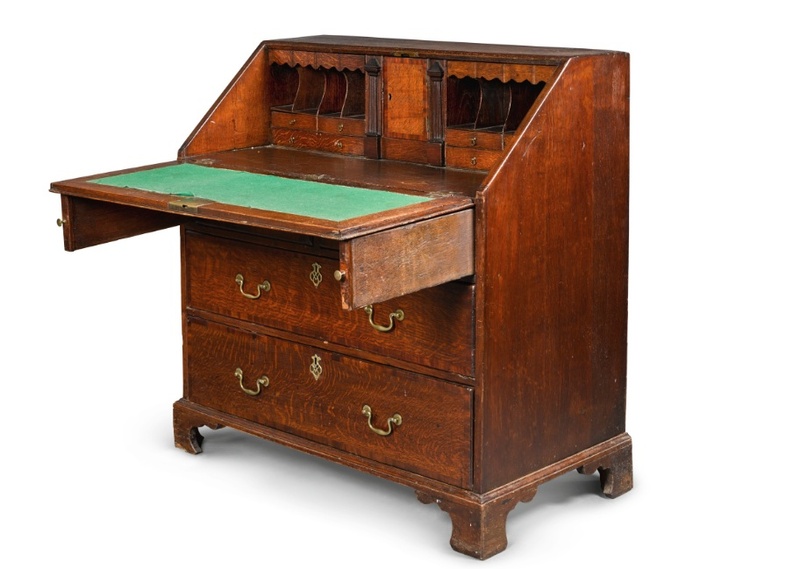 William Butler Yeats’ writing bureau. These purchases come after the Yeats family’s donation of their ancestor’s Nobel medal and certificate in 2016, and a further donation of material, currently being finalized under Section 1003 this year, which together will have a total value of almost €2.5m ($2.95m). 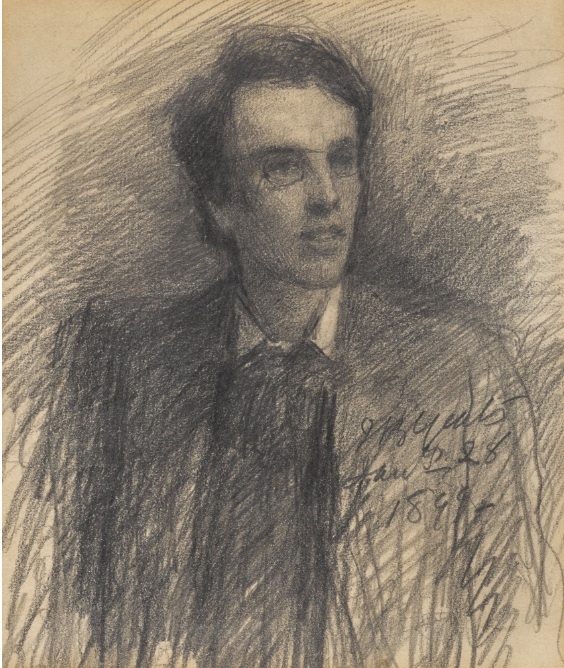 A portrait of a young William Butler Yeats, drawn and signed by his father, John Butler Yeats. The minister also noted that the National Library had placed winning bids on an additional number of artifacts valuing over €72,000 ($85,093). The National Museum and Library’s cooperation in managing the acquisition will allow for major exhibitions to be held in using the collections of both institutions in Dublin over the coming years. Love to see any of the works of the great John Butler Yeats, father of four fabulous sons and daughters. Thank you. His biography by William Murphy is a great read. Thank you.